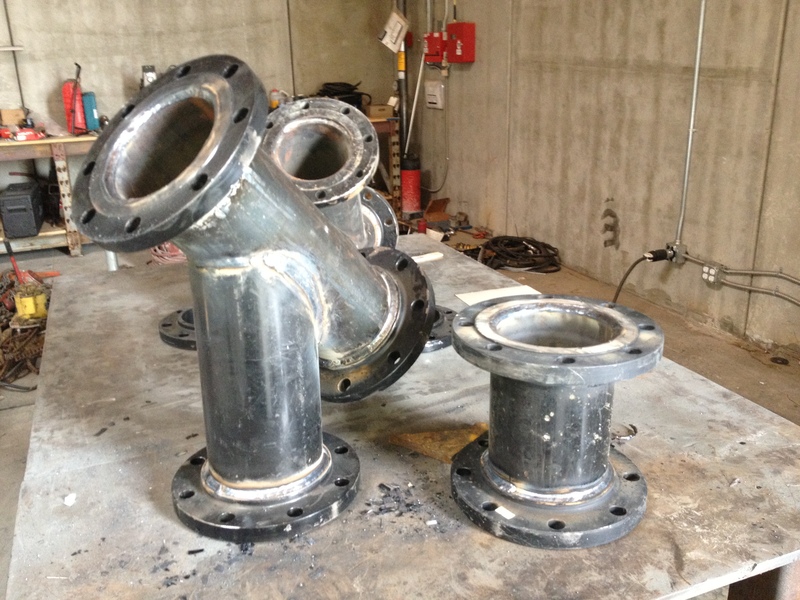 Pipe Fabrication | EAGLE WELDING SERVICES INC.
We could do this kind of work all day, we really enjoy working with pipe. 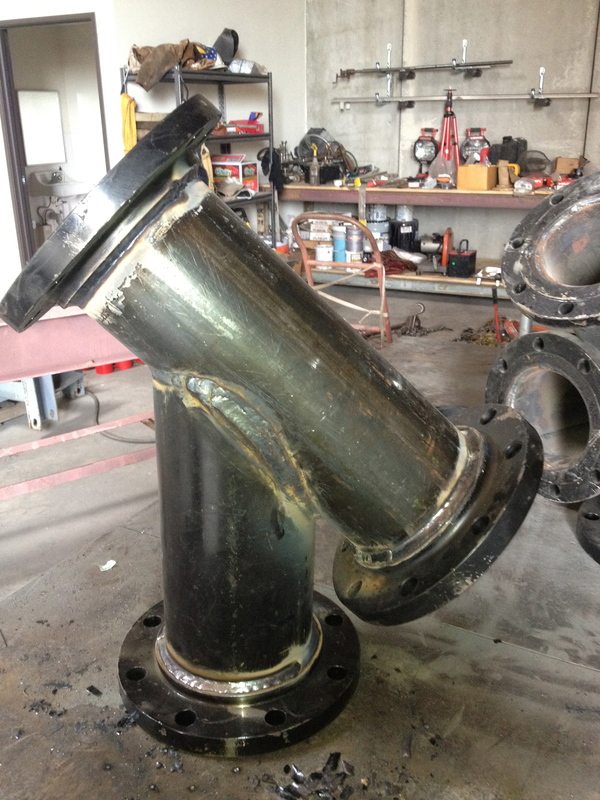 Pipe fabrication takes a different set of skills than structural fabrication and we thrive in the challenge. We welded the pipe using a dual shield wire – E71T-1 – one of the easiest wires to use in a shop setting. It is termed “dual shield” because it uses both a shielding gas and flux which is inside the tubular wire.